Group photo with Top 3 and Hilda Boonzaaier, Kutlwano Masote, Dr Grethe Nothling (adjudicator), Prof Hubert van der Spuy (founder), Prof Chatradari Devroop (adjudicator), Sharon de Kock (adjudicator), and Dr Marlene le Roux (Artscape CEO and patron). Bronze: Teboho Motsatse on Piano. For the past thirty years the Hubert van der Spuy National Music Competition has given South Africa’s young musicians the opportunity to leave us gaping and in wonderment at the virtuosity of their performances. Thirty years is a long time. Back in 1989 we used 56k modems and email was cutting edge technology. We did not have wifi, facebook, or smartphones. However, we did have remarkable talents that needed to be promoted and supported, and we had a mandate to transform our history of racist and Eurocentric dominance to be inclusive and to promote our valuable and beautiful indigenous people and cultures. At the SAMRO Foundation, we are doing our bit to unite and transform our society for the better – and to fight for South African music. With our valued local and international partners, we are capturing our fleeting indigenous music for future generations to learn and be proud of. We are opening up spaces for future and current musicians to perform to live audiences, and to have sustainable careers through Concerts SA. 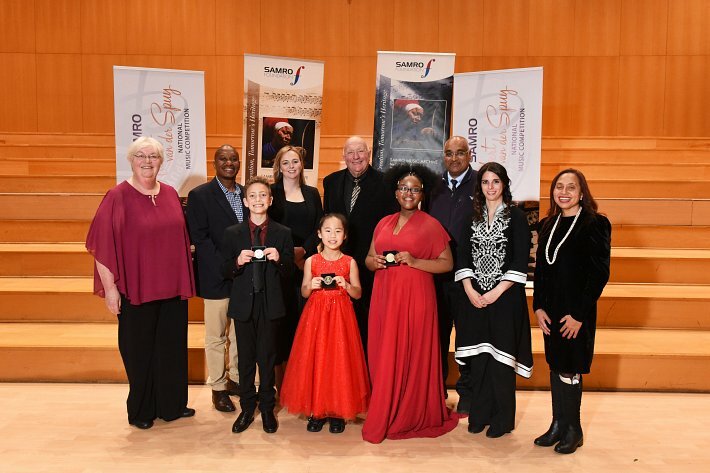 We also continue to support the vital SAMRO Hubert van der Spuy National Music Competition encouraging excellence and promoting the great young musicians who, we hope, will be part of our future heritage.